Summer vacation for many high school students can mean 3 very boring months. While many high schools offer summer courses and activities, most do not offer the excitement that our high school students deserve after spending hours upon hours completing their final exams and projects for the prior school year. As parents, we’re always looking for something worthwhile, educational, and entertaining for our children to experience. As children, we’re excited about meeting new friends and “hanging out”. Luckily, at Cambridge Summer Institute, we bring the best of both worlds offering one of the best summer high school programmes that is both highly academic in nature and fun. Introducing the CSI High School Programme, a two week summer school program in the United Kingdom where high school students between the ages of 16 – 18 can attend courses in both Oxford and Cambridge, UK! This programme attracts hundreds of students from all over the world offering high school students the exclusive opportunity to understand and to catch a glimpse of what college life will be like in a guided environment. Students will get a first hand feel of living in university dorms, taking lectures conducted by highly qualified tutors, lecturers, and professors of the University of Cambridge / Oxford, interact with university students taking summer courses at the universities, and mingling with other CSU participants from all over the world. It’s the perfect way to immerse into a college environment and get a head start learning about the college application process. Most students attending the CSI High School Programme will submit college applications soon, hence, our Residential Advisors, many of which are current undergraduate or graduate students of these universities, are instructed to help and give feedback on how to properly lodge an application. It’s advised that students go directly to the admissions office to ask questions about requirements, time frame, and more about applying. Throughout the programme, students will receive courses on university selection, writing personal statements, and interview techniques; all of which are designed to give soon to graduate high school students an edge for their college applications. Aside from courses focused on the college application preparation, high school students are free to choose 1 elective including British film, British history, British literature & Shakespeare, business, international organisation, law, natural science, and philosophy, politics, & economics. All together, our programmes include approximately 15 lectures per week. While learning is an important aspect of our programmes, our programmes are perfectly balanced with social mixers, fun contests and scavenger hunts, campus tours, as well as guided excursions to famous attractions and historical landmarks. 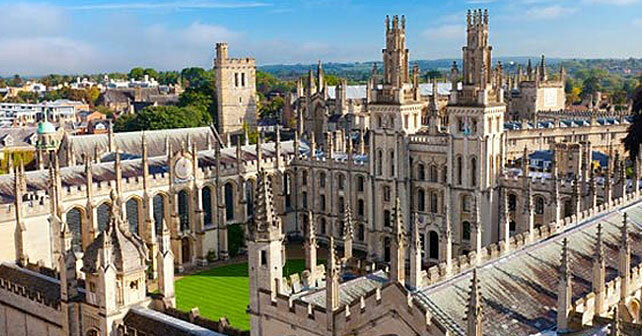 Learn more about CSI’s Oxford Cambridge Summer Programme.